Website owners and online publishers are always looking for effective ways to drive more traffic to their site and market their content to existing users. Marketing automation is a great way to do this. However, very few sites invest in marketing automation tools (due to their high-cost). In this blog, I’ll show you how to use MailChimp as powerful, free marketing automation tool for your website. Marketing automation is an absolute must for just about anyone involved modern marketing, yet very few websites have implemented the marketing processes that marketing automation systems support. In the post below, I’ll show you how I have successfully used a free MailChimp account to duplicate the most valuable processes provided by expensive marketing automation systems. I have used just about every best of breed (BoB) marketing automation system on the market (Pardot, Marketo, Hubspot, Eloqua), and can I tell you that in most cases, website owners and publishers will be able to extract far more value out of the processes I will show below than they ever could from one of those big expensive enterprise systems. First off, it’s important to understand that there are a lot of features that marketing automation systems offer that cannot be fully duplicated using MailChimp alone. However, the effective and proven strategy I’ll lay out below — and show you how to implement later in the blog — will only require the basic out of the box functions of MailChimp. Additionally, there are a vast number of additional features and strategies that you could do on top of this inside of MailChimp that we won’t dive into. Here is a way that myself and others have used to effectively capture visitor e-mails, nurture them over time, and measure and improve communications with them over time. Step 1 will include capturing user e-mails. MailChimp offers the ability for you to embed newsletter sign-up forms in hundreds of different locations on your website. However, you’ll see below that I actually recommend a different strategy offered by the service, an exit pop-up, which we will discuss more later. The secret is offering your visitors the opportunity to have you proactively send them something valuable. Your return visitors are already coming back anyway. Why is this? Wouldn’t it be easier for you just to let them know when valuable new content is available? Discover what that value proposition looks like, then make your call to action on your newsletter sign-up form intriguing and representative of why people come to your site (more examples for this later). You’ll be surprised how quickly your new list grows. Once you’ve started building this list, there are really two different ways you can approach this. You can push new and intriguing content to this list on a weekly, bi-weekly, or monthly basis. You can automate a series of regular content to these users based on your content a site purpose. Both of these are good options. They just have different applications. Pushing content to users is better for sites that may not have a specific purpose or agenda with the delivery of their content (i.e. news, niche info, reviews, etc.). This process will look like creating a regular newsletter or outreach e-mail on a regular schedule. There are two ways I’ve seen this work. The first is sending out a regular aggregate newsletter that includes links to multiple news and info URLs on a subject related to interests of your audience. Our popular newsletter, 5 Bullet Friday (sign-up here), is a good example of this. The other way I’ve seen it work is by having a figurehead or persona send out regular pieces of content. This might just be a normal looking e-mail that comes from a single person, directed to your audience, that advertises a single piece of content. It is usually designed to be more personal and is supposed to look as though the content is being recommended by an expert. Only you can decide which approach might work best for your website; if you decide that you want to push content. Also, it’s worth noting that pushing content is a little more time-consuming as you have to make sure that you consistently are doing this and this can be a weekly or monthly process. 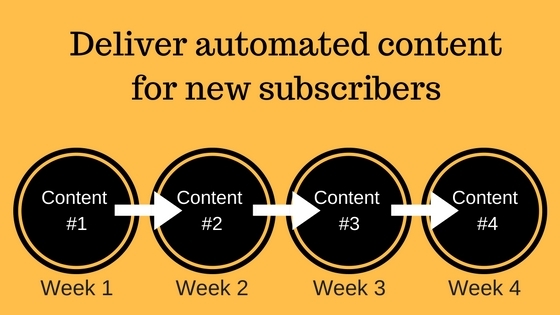 Automating the delivery of content to new list subscribers is actually how traditional modern marketers have approached marketing automation, but this approach isn’t relevant to all websites. This can work really well for educational sites, sites that promote or offer learning, or DIY content. The fundamental premise behind this strategy is that you have several pieces of content that just about everyone who visits your site should/needs to read. This content should be thought of as the “101” content on your site. The call to action on your subscription form for this kind of strategy should advertise that subscribers will receive a free weekly course, regular reminders, and or a basic education program around a certain subject or concept. Below, I’ll show you exactly how to setup a campaign like this for all new list subscribers. 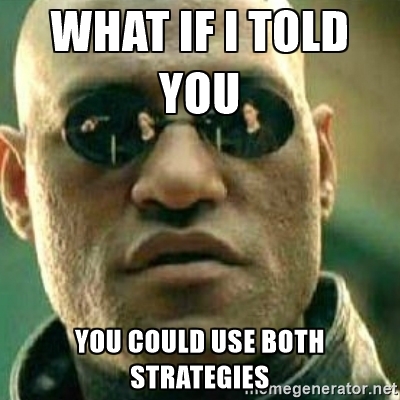 Another good thing about this strategy is that it could actually be used in combination with one of the strategies above. 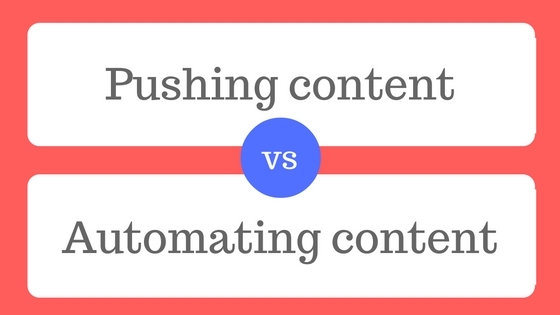 You could push news and info updates while also auto-delivering content at the same time. 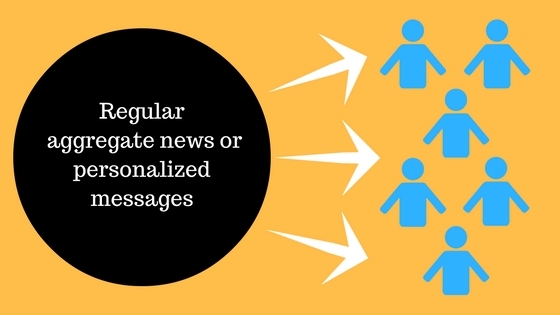 The most important thing to keep in mind when implementing both is that you do not want to spam your users. I find that sending content once a week is about as often as I’d prefer to content people; however, you may feel your audience is different. If you’ve read anything else I’ve written on this blog before, you’ll know that I’m really into data and testing. MailChimp allows you to A/B test multiple elements of your e-mails. You can test everything from who your e-mail comes from to subject lines, and even the e-mail itself. I strongly recommend testing all 3 of these elements early on with your audience. 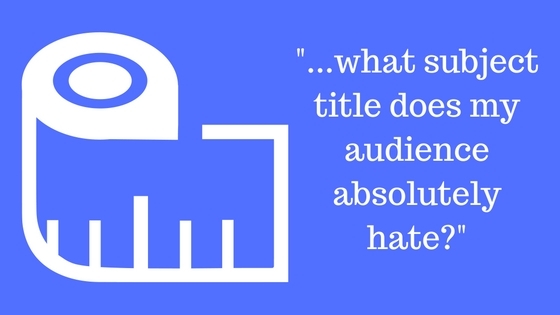 This information can tell you a lot about your audience. When testing, I learn a lot about how wrong I am. You can see in the image above that the clickthrough and open rate for one of my headlines in this campaign did much worse than the others. This was personally my favorite headline. If you don’t consistently test these things — and revisit them later on — you’ll never really know if you’re maximizing your success. I decided to structure this article by showing you first what we’d be doing — so that when we got into the execution phase — you would better understand how to customize these processes for your website. 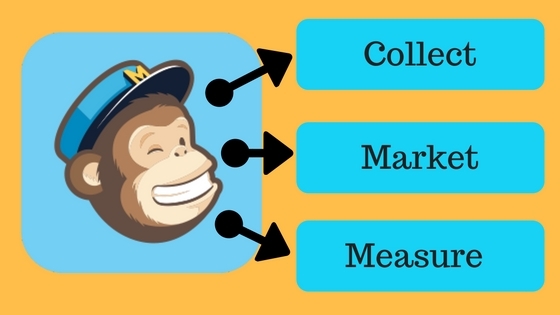 Below is a walkthrough on how to use MailChimp to as a marketing automation tool to capture, deliver, and measure a website marketing campaign for your site. I’m assuming everyone reading this has the intellectual capability of figuring out how to create their own MailChimp account, so I’ll gloss over that part. Once you’ve created an account, you will need to create the list that will house the visitors we talked about above. I won’t go into the complexity of how and why you may create multiple lists. Let’s just keep it simple for now and create a single list. At the top of your home dashboard, go to the top and select Lists. In the top right of the next screen, click Create List. Go through the wizard on the next screen and select all of your default information. Don’t worry about this too much, once you start creating campaigns, you’ll be able to test and alter a lot of this criteria. Once you’ve created your list, you can start embedding sign-up forms on your website. Unless you already have some kind of pop-up working on your site already, I recommend adding a subscriber pop-up on your site (or at least the news or blog pages of your site). This will help you build your list quickly (you can always be less aggressive once the list is larger). If you already have a pop-up — or are irrationally afraid of it slowing down your site (it should not have much impact at all — and you should be measuring this objectively anyway) — you can opt. for a sidebar or content embedded form instead. However, you will not build your list near as fast as you would have with the pop-up form. I’ll operate as if we are creating a pop-up form; however, most of this still applies to other forms as well. Once you reach the form creation wizard, you’ll want to customize the form with a genuine and intriguing call to action (CTA). You can see my example above. I think it’s always good to be human and let people know you will do your best not to spam them as well. Additionally, remember my tip above about writing a CTA that speaks directly to why people return to your site already. I also recommend making the button text a little more appealing than “subscribe”. In this case, I might make the button say “Deliver website tips to me”. Once you have your form configured, it’s time to embed it on your website. Click on Generate Code. 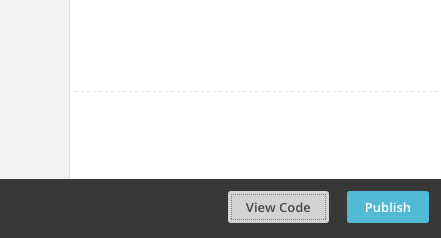 Embed this code in the <head> of any pages you’d like for this pop-up to display on. For best subscription results, it’s best to have it display on all pages. Once the code is loaded on your site, go back to the form wizard and click Publish. 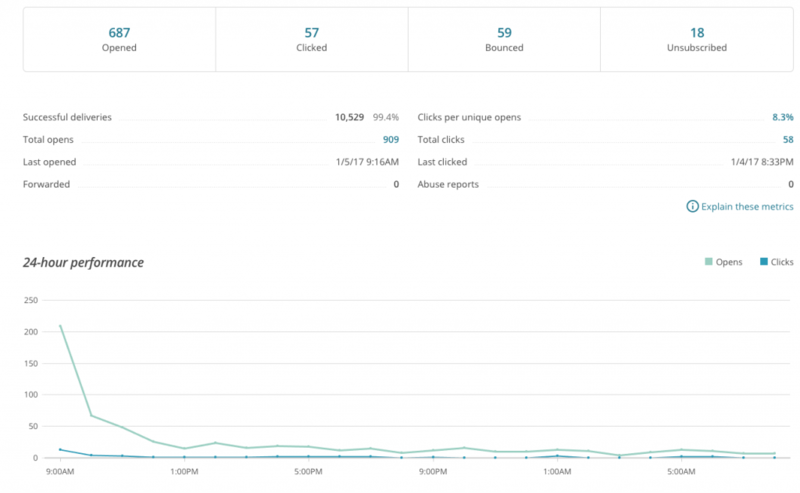 Once your list starts to grow, you’ll want to start using it to drive these engaged visitors back to your site. To create a push campaign click on Campaigns at the top of your MailChimp dashboard, then click Create Campaign. 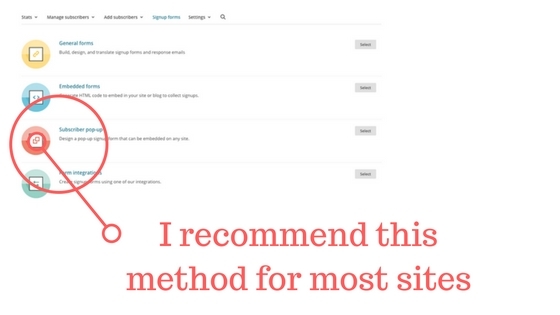 Select A/B testing campaign and then select your newly created list as the audience. I recommend testing who the e-mail comes from first. Sometimes a personal name like Tom Jones will work better than a name like YourWebsite.com. However, the brand of your site might be so strong with your users that the name of your site may be way more attractive to them. You won’t know for sure unless you test this. Over time you’ll want to test e-mail layouts and subject lines as well. 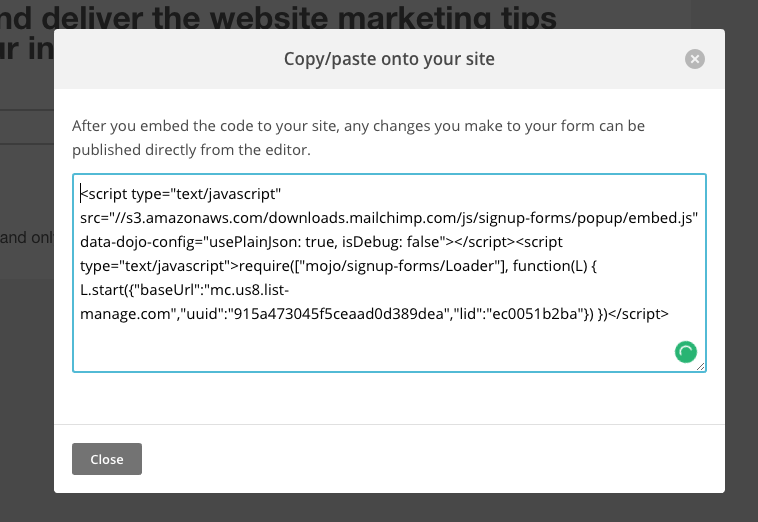 MailChimp gives you the ability to run more than one test at once. I usually try three options with each test. There is typically a clear winner among three options. Once you get into the design portion of your e-mail I would strongly encourage you to keep it simple. Additionally, make sure you look at what your e-mail will look like on mobile. In most cases, your subscribers will see this on their phone first. Once you’re finished designing your e-mail, it’s time to schedule your push. There has been a decent amount of research on when to send e-mails, but I’ve found that every audience is a bit different. In the beginning, you’ll want to measure how campaigns do when they are launched at different times throughout the day or week. To set up an automated marketing program to your new list, return to the dashboard and select Automation at the top. Click Add Automation and select Custom from the array of options (unless something else makes more sense to you). Once you’ve named your automation, you’ll be able to begin creating e-mails and selecting the details of the automated campaign. I recommend that all e-mails be spaced apart by at least a week and that they all come from the same person. You can adjust this based on data later on, but this is generally what works best. The e-mail design tips listed under I gave for push campaigns also applies to these automated campaigns. Once you’re finished designing a series of e-mails you’d like to deliver, click Next, and then Start Workflow. I know this was a long post, but there is actually probably a lot more I could share about how this works. If you’re interested in learning more, I encourage you to listen and follow my podcast with my good friend John Cole. Have you tried this, did it work, have additional questions? Leave them below and I’ll answer. VERY IMPRESSED..!! Now i am started using it..!! Nice one are they free? I was ones told they only allow 2,000 subscribers for free, what will be your advice to us that have tight budget? Yes, it is only free until you reach a subscriber threshold. However, the price of growing with your list with MailChimp is very small. I recommend using the free option to build a list, by the time you reach your limit, you should be able to determine if these efforts are worth paying a very small price to continue. Cool strategy! I’m using GetResponse for my marketing automation. I guess I could try this too. Anyone doing email marketing needs to remember to validate their mailing lists on a regular basis. Failure to do so may result in a higher bounce rate over time. MailboxValidator can help by importing lists from MailChimp for validation. If any emails are found to be no longer valid, they are automatically unsubscribed on MailChimp.